Nasir Shansab was Afghanistan’s leading industrialist until he was forced to leave in 1975. Since the U.S. invasion of Afghanistan, he has returned many times seeking to help the Afghan people. At the beginning of 1975, Nasir Shansab was worried. As the Afghanistan distributor for Toyota, Mercedes, Michelin, Bosch and others, a major contractor for road construction and maintenance and irrigation projects, his company, Shansab Services, had few rivals in size and scope. However, he had received word that old trumped-up charges from the then-deposed king had been revived following some private statements he had made critical of the new government. Even though Shansab harbored no political ambitions, he was clearly being singled out as threat. He would be arrested within hours, he was told, and could face execution. Using his contacts within and outside of Afghanistan, Shansab and his family were able to flee the country. He settled in Germany, hoping that the situation would change and allow him to return to Afghanistan, but the Soviet invasion in 1979 made that impossible. He instead came to the United States and was granted political asylum in 1980. His concern for Afghanistan and its people remained strong. In 1981, it became clear that a native Afghan resistance had begun and Shansab decided to travel to the region to observe and even advise the Mujahedeen. He continued to make regular journeys to the region for the next seven years. It was on these trips to Pakistan and then the mountains of Afghanistan that Shansab met with and developed relationships with most of the major leaders of the resistance: Hekmatyar, Rabbani, Mojaddidi, Gailani, Sayaf, and others. He even had a breakfast meeting in Pakistan with Osama bin Laden, the Saudi national who was giving money to the resistance. It was at this meeting that Shansab took notice of bin Laden’s arrogance and contempt for the Afghan people. The rest of the decade was taken up with the cause of Afghan resistance to the Soviet army. Shansab was regularly advising American officials. He and others, including Sen. Orrin Hatch, told the Congressional Task Force on Afghanistan that the Afghan resistance was failing and that their greatest need was advanced weapons to neutralize Soviet air superiority. This, along with many other events, put in motion a change in strategy, culminating in a ceremony at the White House in which a new policy was formally articulated. Shansab was among the assembled guests and reporters when President Reagan signed a commitment that the United States would not just side with the resistance, but actively support the defeat of the Soviet Union in Afghanistan. It gradually became clear that it was indeed possible for the resistance to drive the Soviet army out of the country. Then, on his trips to the region, a new concern emerged: infighting between the factions. He expressed his misgivings directly to various resistance leaders, urging them to work together. However, they would not even consider the existence of any disharmony. 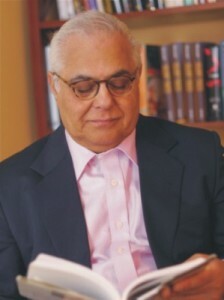 Shansab began warning the West of a coming civil war, arguing that only with intervention from the West could it be avoided. Unfortunately, his predictions were correct. While war raged in Afghanistan, Shansab focused on his business interests in the U.S., knowing there was little that could be done. When the Taliban came to power, there was hope that they would bring some stability to the nation. (They had not yet evolved into an uncontrollable, fundamentalist mob and the patrons of al Qaeda.) Shansab advised that the U.S. at least engage the Taliban, although he was not optimistic about the results. Later, quite unexpectedly, the Taliban government sent two representatives to Virginia with a proposal for Shansab. They would return all property and money that Shansab had owned before the Communists had seized it, if he would come back to Afghanistan and again operate his businesses. He pointed to his visitors’ clothes and beards. Noting that he himself was clean shaven and had always dressed in western-style, he explained that no matter what was promised, if he returned he would soon be forced to adopt their customs. Before they left, one of the men thanked him for his honesty. The other remained silent. In March 2002, after American forces cleared the Taliban from their strongholds, Shansab traveled to Kabul to see the situation for himself. He immediately saw that he could do some good works. Through his U.S. company Atcatco, LLC and its Afghanistan counterpart, Mirs, Ltd., he began working on major work projects, including energy generation for the World Bank and others. He launched and planned many other commercial ventures as well. He operated in Afghanistan with the principle of zero tolerance for fraud and corruption and endeavored to always use Afghan labor whenever possible. Though his frustration with the dishonesty among the Afghan leadership led him to return to the U.S. in 2007, Shansab continues to fight for the interests and well-being of the Afghan people. He has consistently called for a different kind of government in Afghanistan, one rooted in freedom and opportunity instead of tribalism and repression. He is now focused on directly improving the lives of the Afghan people through various educational and industrial projects.